The liquidation of L&P Digital Photographic is a double tragedy, for current professional photography practice and for Australia’s photographic history. 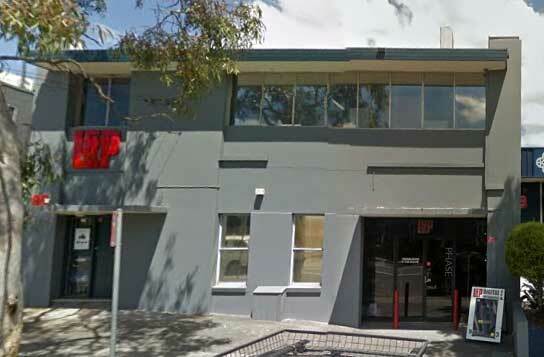 The writing was on the wall when L&P’s landlord sold the building, photographer Max Dupain’s former studio, at 96 Reserve Road, Artarmon, in June 2017. There appears to be little interest in preserving and learning from the history and achievements of Australian photography and photographers, and it would be a tragedy if the last traces of Max Dupain’s studio and darkroom disappear under the new ownership and tenancy of 96 Reserve Road. 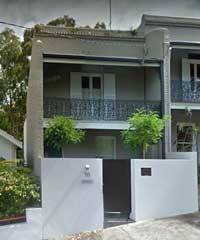 Too little attention and respect is paid to Australian pioneers and greats in the field of photography. 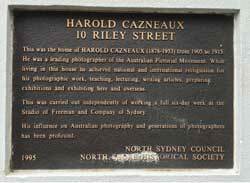 Harold Cazneaux’s home-based studio and darkroom fell into near-decrepitude under under threat of demolition and it is unlikely it will receive heritage status and be preserved as a museum, as should have been done long ago. Great Australian photographers are more likely to be celebrated by the governments of other countries or the mayors of other cities. The great German-Australian photographer Helmut Newton and his achievements have been memorialized by the Helmut Newton Foundation located in the Stiftung Preußischer Kulturbesitz (Prussian Cultural Heritage Foundation) along with those of his Australian wife the photographer June Newton aka Alice Springs. It took decades for an Australian state gallery of museum to offer a show of any kind to the Newtons and there is no sign of the customary major career retrospectives or major collection of works, much less a foundation, ever appearing here in their own country. The story is even sadder in connection with Anton Bruehl who, like the Newtons and countless numbers of other Australian photographers before and since, had little choice but to work overseas in order to build his brilliant career. One of the greatest Australian photographers, who made many contributions to the art and craft of photography, Anton Bruehl is not even memorialized with an entry in Wikipedia. Australian photographers have long relied on foreign connections for their education, training, commissions, viable careers and supplies, and that does not make them any the less Australian. I learned photography at long distance from a North American photographer working in the large format sheet film camera tradition and imported books, equipment and supplies direct from his company when I discovered I could not obtain what I needed here. That early exposure to other ways of doing things, to a non-conformism rare in this country, led to other ways of doing things and to buying supplies from a New York-based photographic store the like of which we have never seen here, B&H Photo Video. 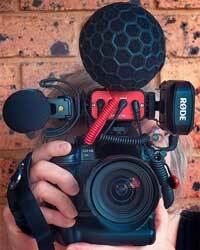 I would love there to be an Australian professional photography and video store where, as with B&H, one can see, try and then buy on the spot. Instead one must rely on reading reviews, watching videos, poring through specifications lists then ordering, unseen and untried, from online retailers. I would gladly buy from Australian professional and non-professional online and bricks-and-mortar suppliers, if they had what I need in stock, on the shelf or in the backroom. So many times I have walked into inner-city or Artarmon suppliers only for an assistant to recommend that I place my order with B&H instead. It is rare to see what what one needs on the shelves, much less to buy it. The few times I have been able to see and try led to purchases, often for a higher price than if I had ordered it online, due to the convenience of the item being right there, right now. The last time that magic combination – see, try then buy – occurred was at another now-defunct professional supplier, Foto Riesel, before it was sold then changed into a bricks-and-mortar branch of the online retailer Digital Camera Warehouse. Foto Riesel’s demise was the end of inner city-based, well-qualified professional advice, a top quality digital printing service, a professional quality analog processing and printing lab, a brilliant secondhand equipment cabinet, and the fellowship of other photographers. Photography and moviemaking here are subject to the loneliness of the long-distance photographer, and it is only becoming lonelier. Being a professional in either closely-related realm is lonelier again with L&P’s liquidation and I will miss Keith Gibbons’ long, rambling monologues during my rare visits to Artarmon. I will never be able to make good on my hopes to eventually hire L&P’s small hire studio, Profoto lighting and Fujifilm GFX 50S camera to work on several coming documentary portrait series for this project, Untitled: Stories of Creativity, Innovation, Success. A quick tour of the L&P studio revealed that Mr Dupain’s darkroom was to be turned into a change and make-up room and it would have been fun to work in the same rooms as he once did. My visits to Artarmon, once the natural home of photography and moviemaking, will now be even fewer than they have been in the past. I cannot remember the last time I purchased anything from the remaining photography and video supplier there, Kayell Australia. Kayell represents a range of excellent brands whose products it can order in on request, but so far I have not had need of any of them. I am now wondering how the imminent arrival of Amazon and its huge warehouses out west will affect the professional photography and moviemaking supply scene in Australia. – Karin Gottschalk (pictured right).